Like everyone else, I get a few vises with the screws either smashed or the wrong screw hammered into the jaw screw pockets. Here is a quick way to remove screws if you have a TIG welder. Coming up with a way to hold the screw so you can use two hands for welding is the trick. 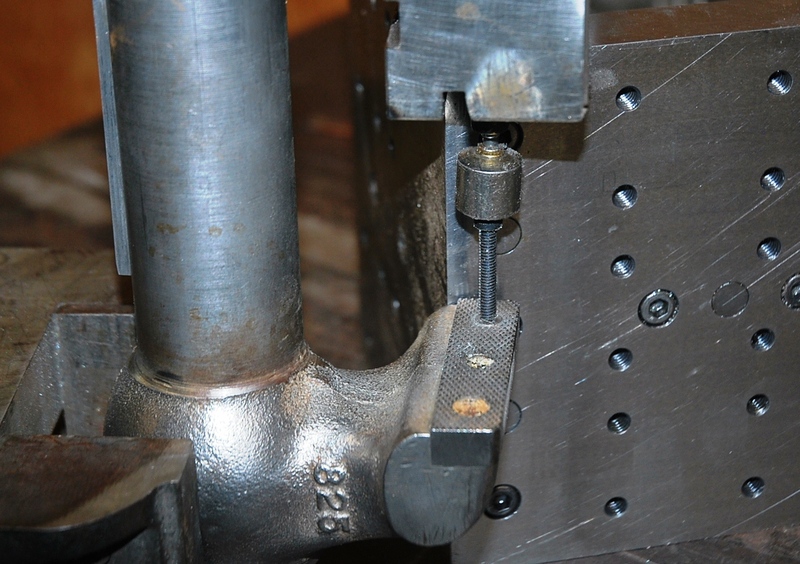 If you can get comfortable, then you have a better chance of welding the screw head and not the jaw. I like to use magnets to align the bolt. It is hard to tell by my picture, but I like using these small 1/4 diameter super magnets. Some jaws are a little harder to remove. This small #825 Wilton (2-1/2 jaw width) gave me fits. The jaws have been on the vise for many years and were ground smooth to the casting. The 10:32 screws were tough to weld around, but I got lucky. 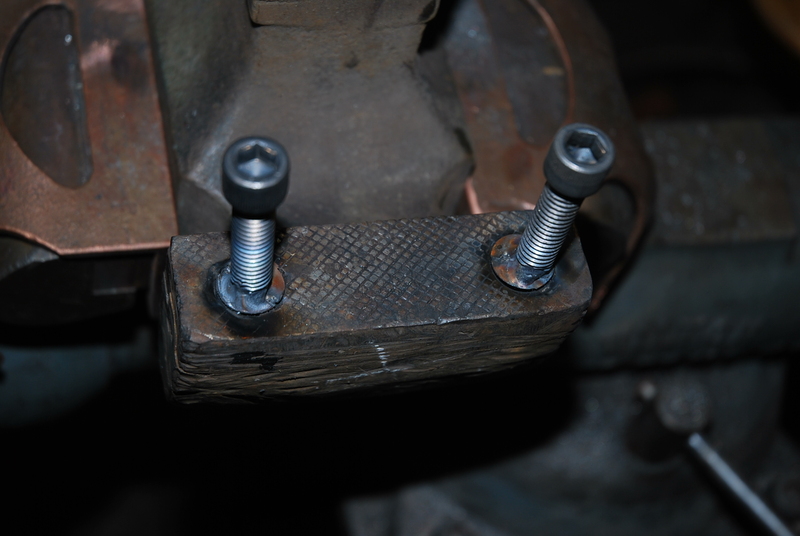 I used a magnifier inmy hood and saw the tack welding of a #6 screw to the head of a #10 screw. Once I removed the screw, then I had to weld a slide hammer to the jaw and pull it from the Static and Dynamic jaw support. 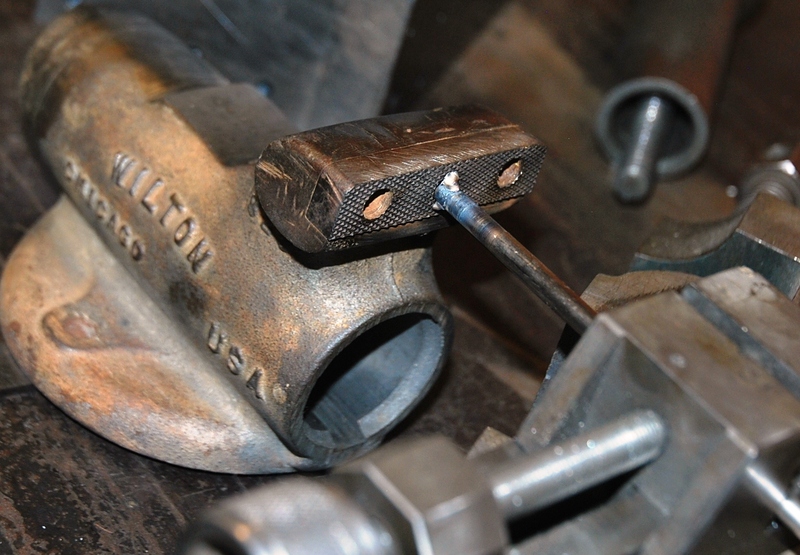 The alignment dowel pin is suppose to be a press fit to the jaw, but over the years the dowel sometimes rusts into the jaw support casting. 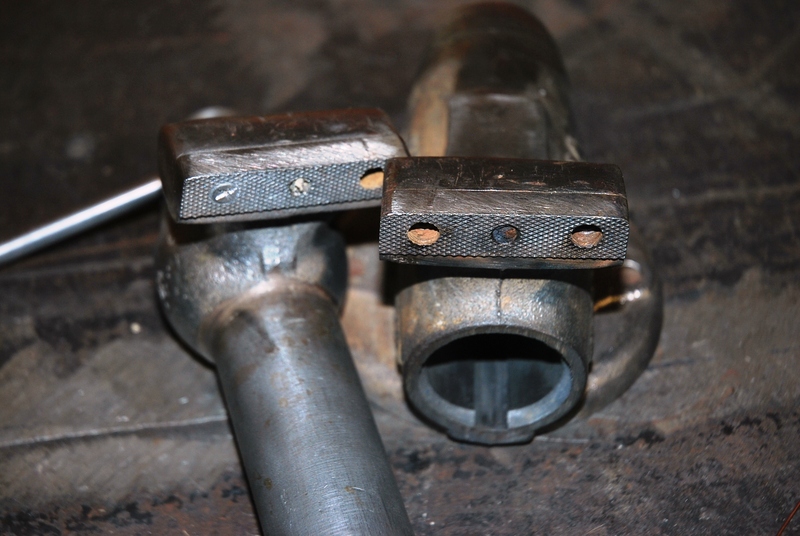 I welded right to the jaw with my slide hammer, then after the weld cooled, I hammered it off. 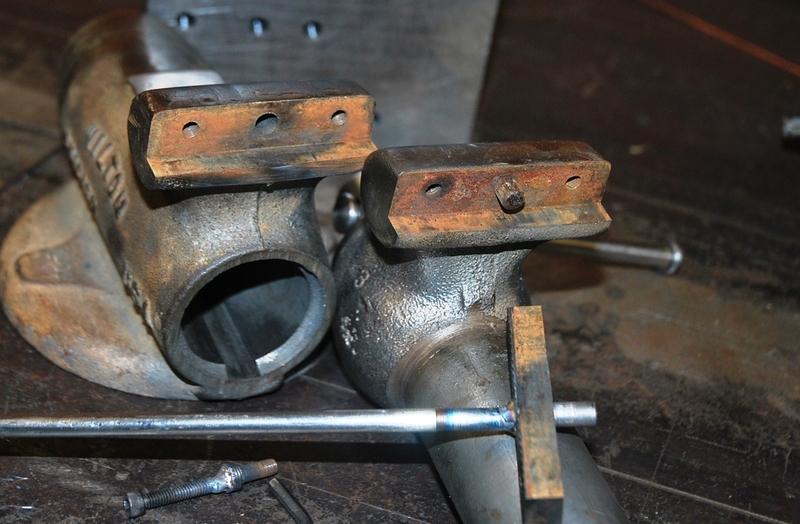 Having access to a welder, the TIG has more control and a more accurate method of adding filler rod, but a good wire welder can have success too. Good luck.